Cape Verde's economic growth has been largely propelled by tourism. During the first three months of 2018, the country welcomed 215,000 tourists, a 10.3% increase from Q1 2017. And Cape Verde's government has recently made the country even more investor-friendly by approving laws that grant permanent residence permits to foreign nationals who purchase a second home in Cape Verde. Permanent Residence Cards, known as the Green Card, will be issued to foreigners who acquire real estate properties worth minimum amounts of €80,000 (US$ 94,112) or €120,000 (US$ 141,168), depending on the GDP of the municipality where the property is situated. The permit will be granted for an indefinite period, and its benefits will be extended to the holder's spouse and children aged below 14. Tourism has grown rapidly, with tourist arrivals rising from 150,000 in 2003 to around 716,000 in 2017, bringing travel and tourism's direct contribution to 17.8% of Cape Verde's GDP, and its total contribution to 44.9% of GDP, according to the World Travel &amp; Tourism Council's (WTTC) 2018 report. Cape Verde's government hopes to boost tourist arrivals to 3.15 million by 2030, creating more than 30,000 jobs and an estimated CVE 4.4 billion (US$ 47 million) tax revenues, according to Tourism Director-General Carlos Jorge Anjos. About half of the 482,000 population live in the biggest island, Santiago, which is home to the capital city, Praia. However, tourism is largely concentrated in the island of Sal, which has the country’s only international airport capable of receiving charter flights from Europe. New and bigger international airports are scheduled to be opened in Santiago, San Vicente, and Boa Vista. Rental Income: Rental income earned by nonresidents from leasing Cape Verde property is subject to 20% final withholding tax. Capital Gains: Capital gains earned by nonresidents aretaxed at a flat rate of 10%. Inheritance: Any property transmitted by inheritance or by gift is taxed at a flat rate of 1.50%. 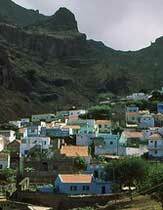 Residents: Residents are taxed on their income from Cape Verde at progressive rates, up to 35%. The total roundtrip transactions cost, i.e., the cost of buying and selling a property, is around 13.5%. The seller pays for the 5% real estate agent’s commission. The buyer pays all the other costs: transfer tax (3%), registration fee (2.5%), and legal fee (3%). Property buyers are advised to open two accounts, one in Escudo and the other in Euro. Escudo cannot be transferred out of the country but Euro can. Rents: The landlord and tenant are free to agree on the rent, and the due date of payment. Tenant Eviction: The lease is automatically renewed at the end of the term, and the landlord may only terminate in very limited cases. He needs to file an eviction request in court, involving substantial delays. Cape Verde grew last year at its fastest pace since 2011, with GDP rising by 3.9% in 2017, according to the National Statistics Institute (INE), Cape Verde, supported by the strong performance of manufacturing, electricity and water, housing and catering, public administration, according to the Bank of Cabo Verde's (BCV) Monetary Policy Report in April 2018.